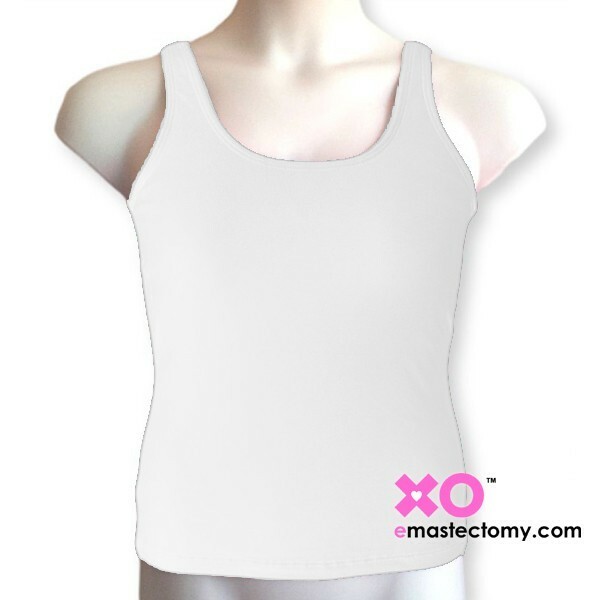 LuisaLuisa Mastectomy Tank Top With Built-In Pocketed Shelf Bra - Cotton/Lycra. LuisaLuisa's best seller for 15 years and counting!. One of the orinial items LuisaLuisa came to the market with. 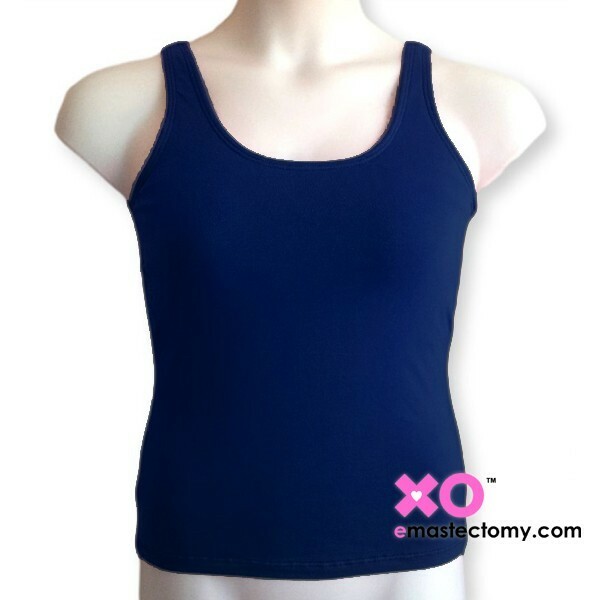 This snug fit Cotton/Lycra mastectomy tank top will hopd any breast prosthesis securly in place. Can be worn as in-or-outer wear. Comes in 15 colors! We think this is one of the best mastectomy tank tops made.